I love photographing other bloggers, so I was really looking forward to my shoot with Dionne - otherwise known as DeeDee Louise. 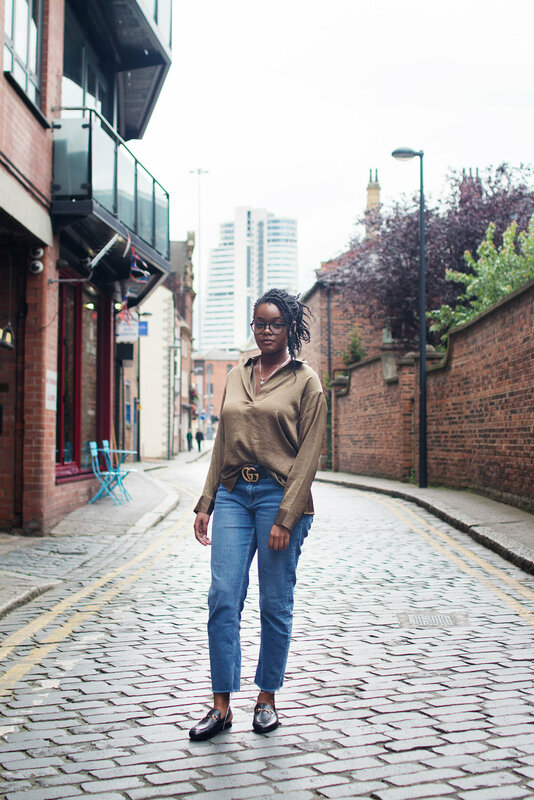 I met Dionne in Leeds last September for a full day's photoshoot. Often when I meet bloggers, we try to photograph two or three different outfits in a couple of different locations all on the same day. We had a few ideas of where we wanted to shoot beforehand, but a few decisions were made in the spur of the moment as well. Because of the planning we'd done in advance, we were able to get a lot of variety - meaning more photographs for future blog posts for Dionne! To see the exact locations we shot at, have a look at the vlog further down the post. 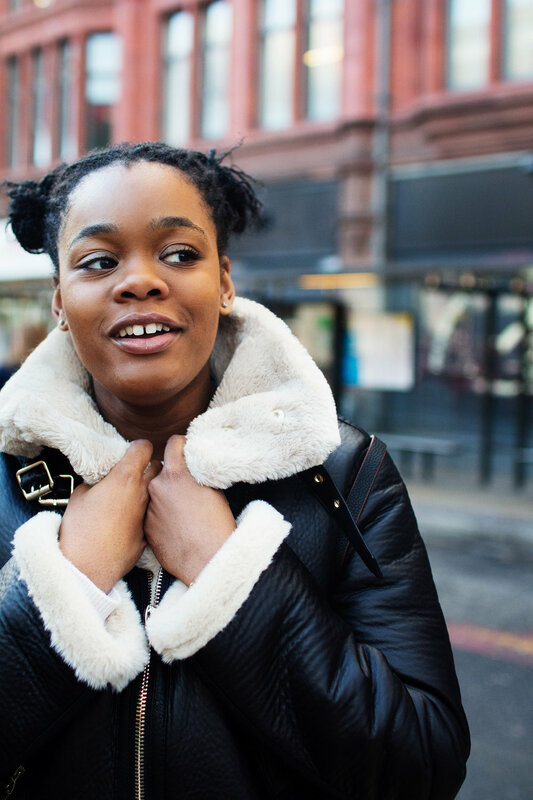 We met up again in December for another shoot - this time, in Manchester. This time we were only documenting one outfit, and in the Northern Quarter. 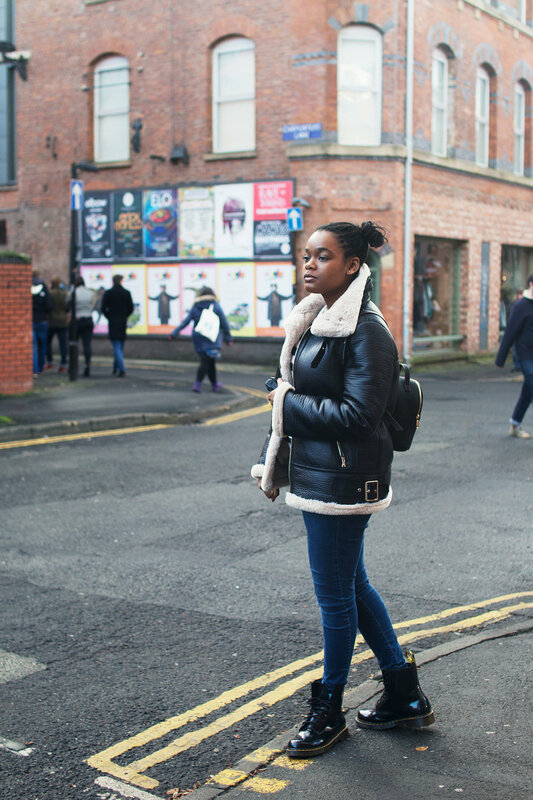 We chose the Northern Quarter because Dionne wanted a slightly gritty background, and the backstreets of Manchester city centre are perfect for that. The pictures below are taken on Edge Street and Stevenson Square, which are two of my favourite places to shoot in Manchester. They're never too busy and have a certain charm and character to them. If you like what you see, you can click here to make an enquiry. 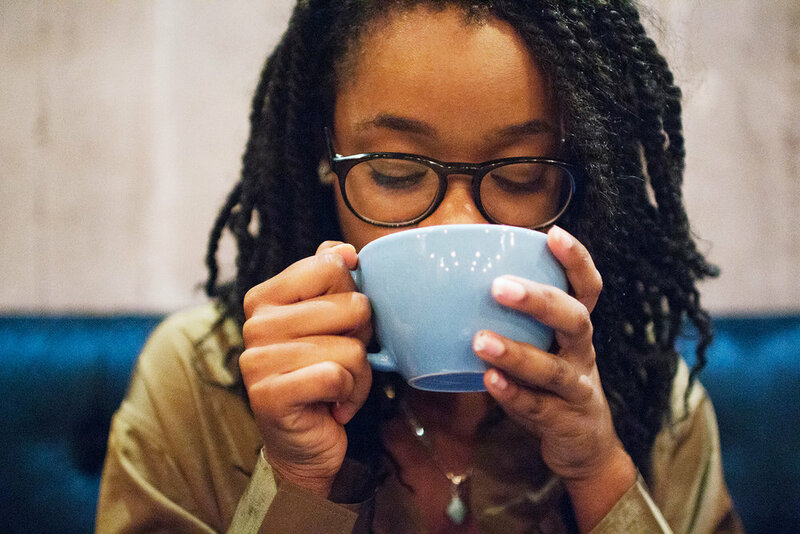 I'm based in Manchester, but work with bloggers all over the UK.